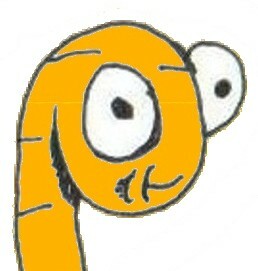 Lenny is a worm that lives in Zody’s head. He is Zody’s pet. He is a wise cracking smart mouth that finds humor in the unfortunate situations that Zody finds himself in He is always popping through Zody’s skin and speaking his mind.